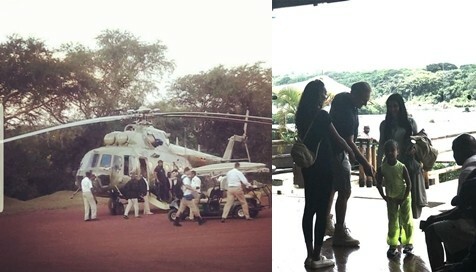 Controversial rapper,Kanye West, is in Uganda with family. 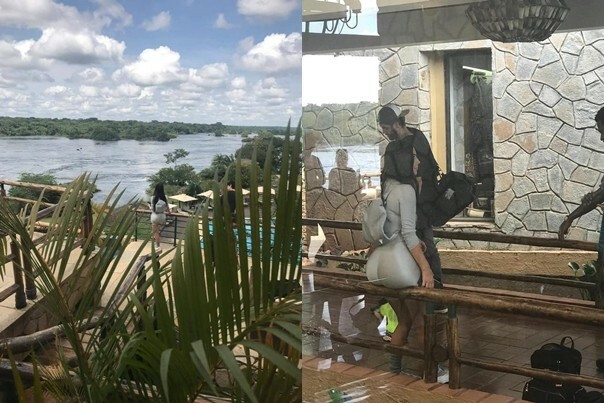 Information gathered shows that he is staying at a five-star luxury resort with wife, Kim Kardashian, and daughter,North, while he works on his next album and shoots some videos. Big Sean is reportedly at the resort as well, most likely to collaborate with West on the album.